0,8 hectares from a single parcel with 40 years old vines planted on granite-clay soil. Farming organically. Vinfication with Carbonic maceration and then cold fermentation between 16° and 20°C for 2-4 weeks. 2,500 bottles produced. 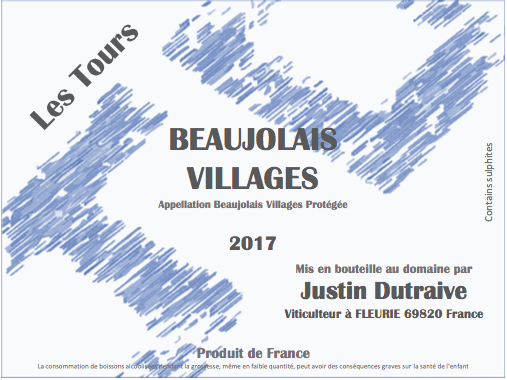 0,4 hectares from a single parcel located in the south of cotes de Brouilly with 40 years old vines planted. Farming organically. Vinification with Carbonic maceration and then cold fermentation between 16° and 20°C for 2-4 weeks. 1,500 bottles produced. 0,08 hectares from a very old single parcel where vines are 100 years on average and planted on granite soil. Parcel belongs to the grandfather. Farming organically and winch-plowed; tractor can’t pass between the rows. Vinification with Carbonic maceration and then cold fermentation between 16° and 20°C for 2-4 weeks. 330 bottles produced.